There are a number of common problems experienced by customers. These are most often associated with how water smells, tastes or appears. 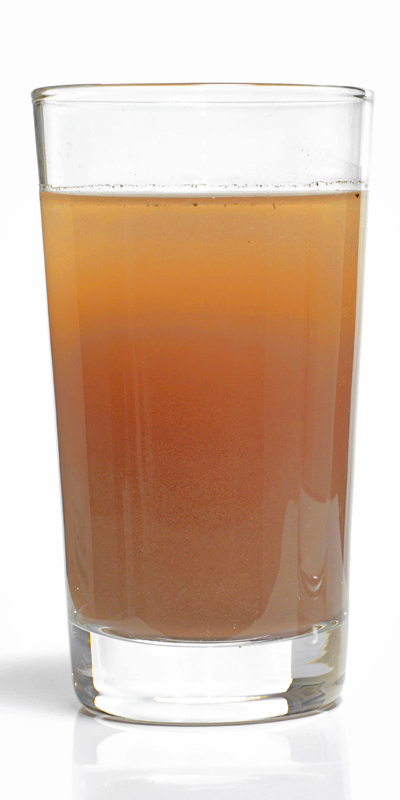 If your water is an orange/brown colour when you first run your tap but clears after a short period, you may have some corrosion issues inside your property. The orange/brown colour is indicating the pipe walls are corroding. Corrosion can occur when the plumbing inside the property is old. Over time pipes can corrode, this is evident if original plumbing is cast iron or copper pipe. If cast iron and copper pipes are used together corrosion can occur much faster. In some instances, it can only take a small length of pipe to produce the discolouration. If not resolved, a pipe burst or leak can occur. A plumber will be able to help solve the discolouration. A change in flow conditions or a burst in the main close to your property can result in dirty water. If you receive dirty water please refrain from using a washing machine or dishwasher until the issue is resolved. Generally a burst happens unexpectedly, however the maintenance team at Westernport Water is very good at fixing them. The best way to get the issue resolved in a timely manner is to report any dirty issues to our friendly customer service team. Full glass of tap water obscured by small particles. Concept for unhealthy water supply for people in developing countries. Water can appear milky if air mixes with supply. The milky look is caused by small bubbles pressurised in the water. Aerated water has no risk to your health. Milky water may occur in water mains if you live in an area with high water pressure (i.e. near a pumping station). Air can also be introduced into your household pipes in various ways; for example, a faulty inlet valve on a washing machine. Westernport Water performs airscouring annually to maintain cleanliness within the distribution system. During these times instances where you may notice air in the water will increase. This will resolve within a few days once the airscouring is completed. We will advise you when airscouring will be undertaken within your area. 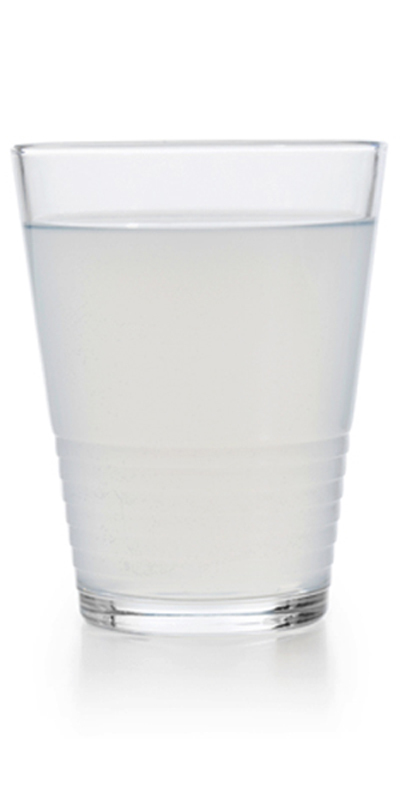 If you experience milky water, fill a clean glass and observe the colouration for a minute or two. If the colour subsides then the issue is aeration. Chlorine and chloramination disinfection is used by Westernport Water to ensure water is safe to drink and free from bacteria and virus. The amount of chlorine in the water is regulated under the Australian Drinking Water Guidelines. The easiest way to remove the taste or smell of chlorine is to refrigerate it. Another method is to install a household filter. From time to time, algal numbers in our reservoirs develop to the point that they make the water smell earthy or musty. We do our best to remove these odours in our treatment plant, however some people may still notice a faint taste or odour in their drinking water. While an earthy or musty smell may be aesthetically displeasing the water is safe to consume. However, if you are concerned at any stage, please contact us, on 1300 720 711 or email westport@westernportwater.com.au. A metallic taste in your tap water usually indicates high levels of iron and/or copper. Both can leach into your water from corroded pipes. To fix this, the first step is to have your pipes inspected for corrosion by a plumber. If you are still concerned about a metallic taste after inspection, please contact us on 1300 720 711 or email westport@westernportwater.com.au. Water with very low levels of dissolved oxygen will develop a septic/rotten egg odour but this should not happen in your drinking water. The most common cause of this type of problem is the drain. Over time, organic matter such as hair, soap and food waste can accumulate on the walls of the drain. Bacteria can then grow on that organic matter. What you can smell is the gas produced by the bacteria. You will be more likely to smell the rotten egg odour when water from the shower or kitchen tap runs over the drain. If you have one of the problems listed above, the first step in solving the issue is finding the source. The first step in solving your water quality problem is to work out whether the problem is in the water supply or in your plumbing. Below are some general guidelines. Water quality problems can be introduced from sources other than drinking water on your property. You need to make sure there are no cross-connections between the drinking water supply and other water sources. For example, recycled or storm water. If you are supplied with recycled water we recommend performing a check for cross connections annually further information can be found on our recycled water page. Your plumber can make sure there are no cross connections. Water storage like rainwater tanks, bores and swimming pools have the potential to backflow into drinking water supply. This has the potential to contaminate drinking water supply and create a public health risk for not only the residents at the property but also the local community. Most new meters have backflow prevention devices fitted, however if you have concerns, your plumber has the ability to install backflow prevention. If the problem is in the water supply, it will occur at every tap on the property, including the garden taps. If it doesn’t, then the source is more likely to be somewhere in your plumbing. If the problem does not occur on your cold water taps, there is a strong chance the cause of the problem is your hot water service. It could also be in the plumbing connected to the hot water service. If the problem is in the water supply, it will not disappear after a few minutes of running the water. For all problems in your own plumbing, call a qualified plumber to have the problem resolved. If you believe there is a water quality issue in our water mains, please contact us. If you haven’t been able to work out the source of the problem, please contact us on 1300 720 711 or email westport@westernportwater.com.au. Hardness is the measure of calcium carbonate in water, measured in milligrams per litre (mg/L). Hardness levels depend on mineral deposits (i.e. rocks and soils) from the catchment that supply our water. Hard water is water that has a high mineral content. The quickest way to work out whether your water is hard is to try to lather soap. If it doesn’t lather up, your water is hard. If it lathers extremely easily, then it is soft. The Australian Drinking Water Guidelines (2011) have a scale (see below) of water hardness as it impacts on water quality. Westernport Water’s supply ranges from 50-120 mg/L with a median result over the last 7 years of 93 mg/L – which is considered as ‘good quality’ under the Australian Drinking Water Guidelines. What does this mean for my tap water? When hard water is heated, the minerals that cause hardness come out of the water and are deposited as scale. This can affect kettles, hot water services, pipes and fittings. Scale is harmless, but over time it builds up. The most common way to reduce the build up of scale is keeping hot water systems below 60 degrees Celsius. Some uncommon methods are installing a water softener to bring to an unacceptable level. However results show that Westernport Water’s supply is in a good quality range therefore we do not recommend you drink softened water. Softeners can significantly increase the level of salt in your water. Some dishwashers have settings that control the addition of salt, which acts like a water softener and decreases the build-up of scale. Generally dishwashers quote a quality range of water in mmol/L. To convert the measurement from mg/L to mmol/L for dishwasher references you simply divide by 100. Therefore the range of Westernport Water’s supply in mmol/L is 0.5-1.2 and for the median, 0.93 mmol/L.